Sarah Kim Kraemer belongs to a family who runs a business for over 35 years dealing with raw materials for the cosmetic industry and development of cosmetic formulations. After her bachelor study she joined the family’s business and launched GOLDENGLOW based on the know-how of her family. Her motivation to launch her own product line of organic products came from her suffering from severe food intolerances for many years. She also suffered from allergic reactions to cosmetic products. For this reason, she changed to a sustainable nutritional lifestyle and decided to develop cosmetic products which are tolerated by her skin. Because Shea butter is known for its excellent compatibility plus optimal protection and care, she chooses it as base for her GOLDENGLOW products. In GOLDENGLOW she combines the family’s know-how in cosmetics and her high demands on ingredients and aesthetics. 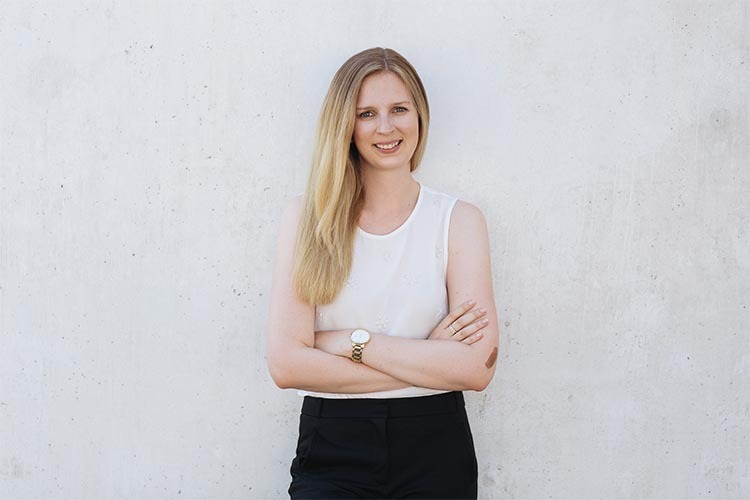 Sarah Kim Kraemer belongs to a new generation of German cosmetic producers who created a brand of modern, clean and elegant products – a combination of quality, design, concept and effect.